The Organic Happy kitchen has been a regular at the Northey Street Sunday Organic Farmers Market for 3 years. Every week people queue to get some organic pies, quiches, sausage rolls, treats, breakfast and ready meals. Laurent Le Souquet became a chef 30 years ago in France and perhaps his baked goods are so popular because the French are known for their scrumptious pastry! “The Organic Happy Kitchen food is delicious and good for you. Made with the freshest organic ingredients from locally sourced producers. Organic food is the new normal and is a vital necessity to a healthy lifestyle. It’s the only choice for those who understand how important eating well is for ourselves and our planet,” says Laurent. 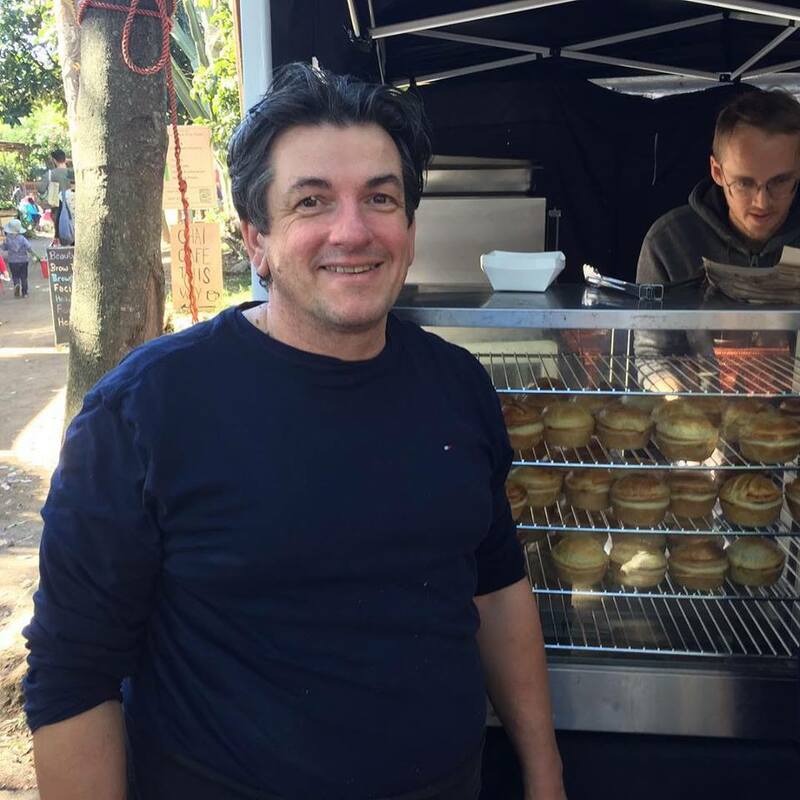 Laurent says that he loves the clientele at Northey Street City Farm because they are amazing and they know what they love. Maybe that’s why people queue every week for the Organic Happy Kitchen’s breakfast and ready meals! There’s gluten-free options for all the pies and quiches. The omelettes are gluten-free and dairy-free, served with gluten-free bread on request. All our sauces are gluten-free, dairy-free and vegan. Organic Happy Kitchen are so committed to providing an organic gluten free range of food that they have a coeliac campaign to build a kitchen that will ensure the expansion of their gluten free range. Although real gluten free food is intensive to prepare, Laurent is committed to provided gluten free options at no extra cost. “Once the new kitchen is complete we can ensure expansion of our gluten-free range with the same standards we currently abide by with more freedom to offer more choices,” adds Laurent. How can you get involved in the coeliac campaign? Giving what you can. $1, $5 or $10 will help build the coeliac kitchen and support more people who are coeliac. Visit https://www.gofundme.com/supportcoeliac to donate and learn more. Watch Gluten Freedom here https://goo.gl/2ggboi. If you want to meet Laurent and taste his delicious organic pies, quiches, sausage rolls and ready meals, come down any Sunday for breakfast at Northey Street City Farm Sunday Organic Farmers Market, on every Sunday 6am-11am.